Tendons and muscles work together to help pull the bones in your body. Though tendons are considered soft tissue when compared to bones, they are actually quite tough. Tendonitis is simply inflammation of a tendon. 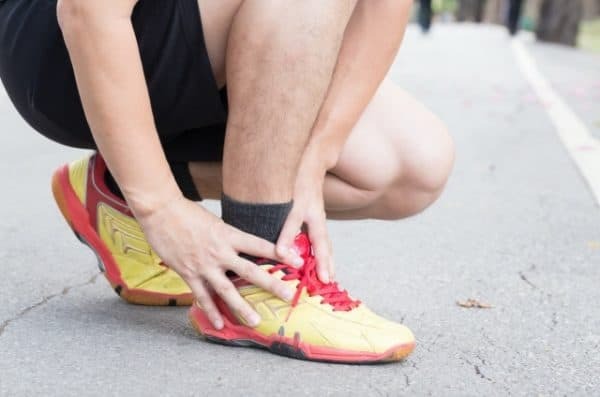 This usually happens when the tendon gets overused or an injury has taken place. This condition most commonly affects athletes, but non-athletes can also experience tendonitis as well. Your achilles tendon is located between the heel and the calf muscle. This injury is most commonly a sports injury. You may have seen a baseball player experience an achilles tendon injury when sprinting to first base. This is due to the strain and burst of force being used. Most non-athletes with achilles tendonitis are usually living with rheumatoid arthritis. This form of tendonitis affects the shoulder. When the tendon located around the top of the shoulder joint becomes inflamed, it can cause pain and discomfort when moving. The pain can become more severe when the arm is moved upwards. If there are other tendons in the area that are affected, the patient may need to be checked for rotator cuff syndrome. If you are living with Tennis elbow, you are more than likely experiencing pain on the outer portion of your elbow. This pain may radiate down the arm and into the wrist. If you are living with Golfer’s elbow, you may experience pain on the inner side of the elbow, with pain also traveling down to your wrist. This happens when the sheath around the thumb tendons, between the thumb and wrist become inflamed. It can become uncomfortable to move the thumb due to painful inflammation. If you play a sport, or have a job that requires the repetitive movement of your wrist, you may develop tendonitis of the wrist. This condition may be degenerative as opposed to tendinitis caused by inflammation. Becuase the symptoms of tendonitis can often mimic the symptoms of other serious conditions, your chiropractor may first take X-rays of the area to ensure an accurate diagnosis. Once a positive tendonitis diagnosis is made, your chiropractor may develop a treatment targeted for your specific needs. These treatments will be intended to address the root cause, instead of simply masking the symptoms. Depending on the level of inflammation, your chiropractor may incorporate techniques such as, ice, bracing, electrical muscle stimulation to help soften the tendons, and or Cold Laser Therapy, which is very effective at reducing inflammation. These first steps are crucial and the mark of an experienced chiropractor. If you’re visiting an experienced chiropractor, her or she may successfully get the pain to reduce, or in some cases, disappear. But beware! This is where most patients go wrong. They now feel like they are cured, and there is no reason to keep treating. During the first 2-3 weeks of treatment, inflammation and pain may reduce, but you must continue treatment to ensure a full recovery. The healing process is known to take six weeks or longer, and you shouldn’t return to intense activities until your chiropractor gives you the OK.
During the healing process, your body will generate scar tissue which will aid in the healing process. Once you have fully healed, the scar tissue will need to be broken down to regained full mobility and flexibility. Your chiropractor may use various methods of treatment to break down scar tissue. He or she may recommend gentle massage, mild stretching, and even light exercising once tissues are fully healed. Here’s the good news, tendonitis may be completely healed with the help of an experienced chiropractor. Not only will your chiropractor employ the treatments mentioned earlier in this article, but he or she may also advise you on lifestyle choices to help reduce the chances of injury in the future. If you live in Brick NJ, and you’re in search of an expert chiropractor, the Back and Neck Center of Brick can help! Our team of doctors has helped thousands of patients live a better quality of life. 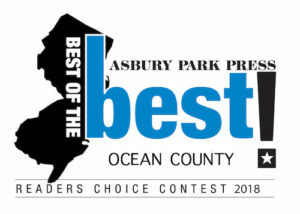 Come see why our office has been voted best chiropractors in Ocean County by readers of the Asbury Park Press 9 times in a row! From 2009 – 2017. Next Next post: Sacroiliac Joint Dysfunction and How your Chiropractor can Help.